The city of dreaming spires, Oxford is beautiful city packed with places to see. Looking for the best things to do in Oxford? Here’s where to start. 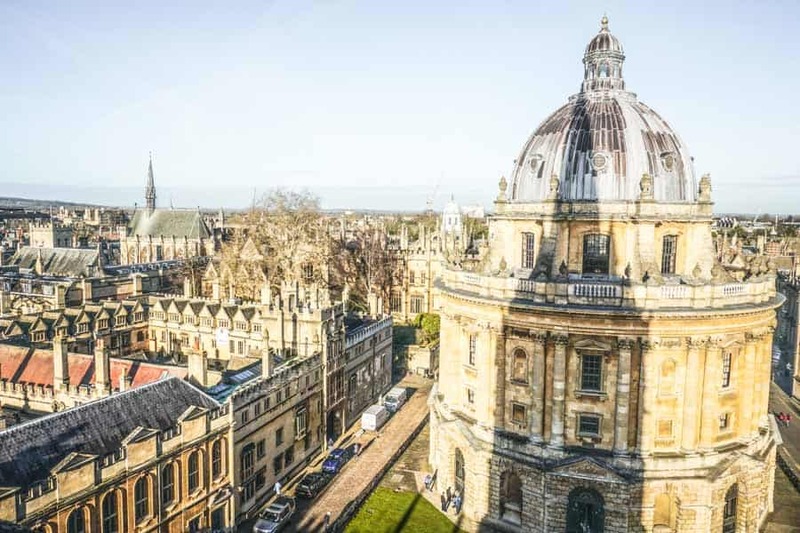 Oxford is one of my favourite places in the UK – I’m incredibly biased – I spent three memorable years here reading English Language and Literature at at the university. Even now, several years later, Oxford never ceases to surprise me. 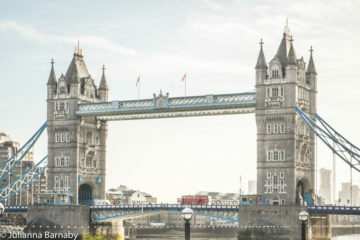 There are few places in the UK or Europe that can rival the city’s beautiful architecture and important history. Whether you are visiting Oxford for the first or fiftieth time, there’s always something new to discover – some secret spot to find. 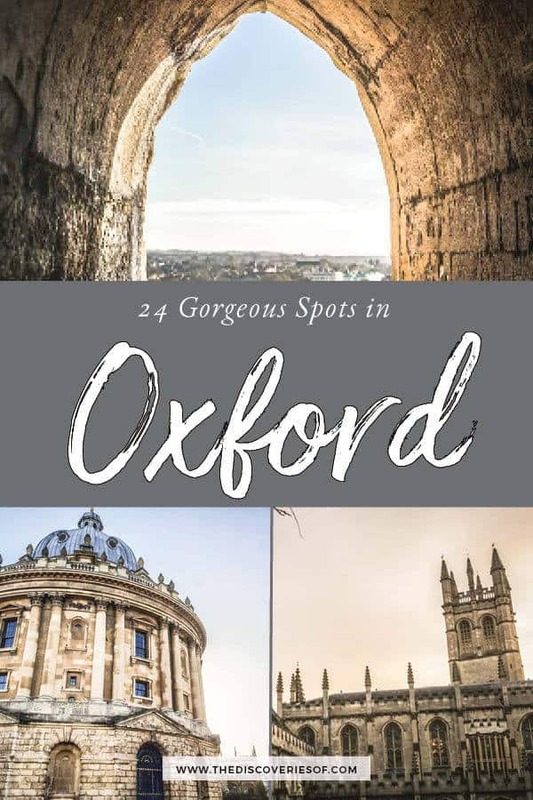 Check out the best things to do in Oxford – well-known spots and hidden treasures. Ready to explore? Let’s go. PS – Only in Oxford for a short time? Read my guide to 24 Hours in Oxford. The Bodleian Library is one of the oldest and biggest libraries in Britain. 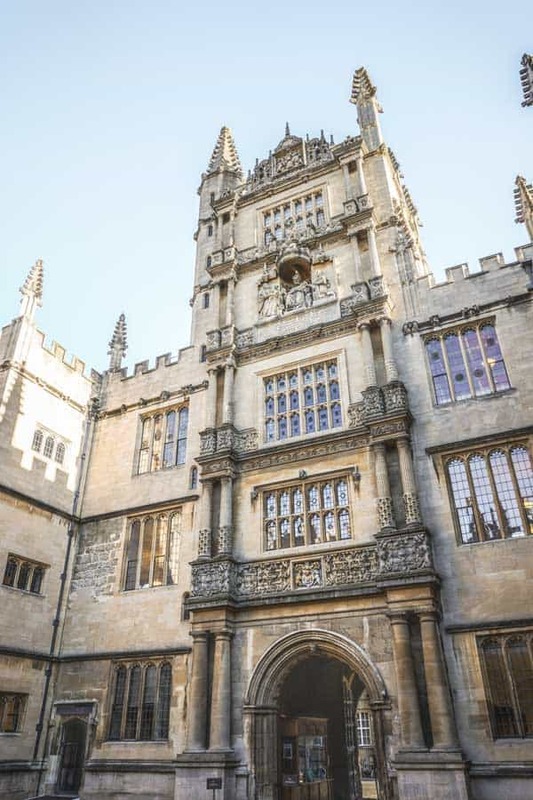 The library (which is actually a series of interconnected libraries dotted throughout Oxford that are collectively referred to as the Bodleian Libraries) has an impressive history – some of its buildings have been libraries since the Middle Ages. All very well and good, but it’s the library’s architecture that is really going to blow you away. 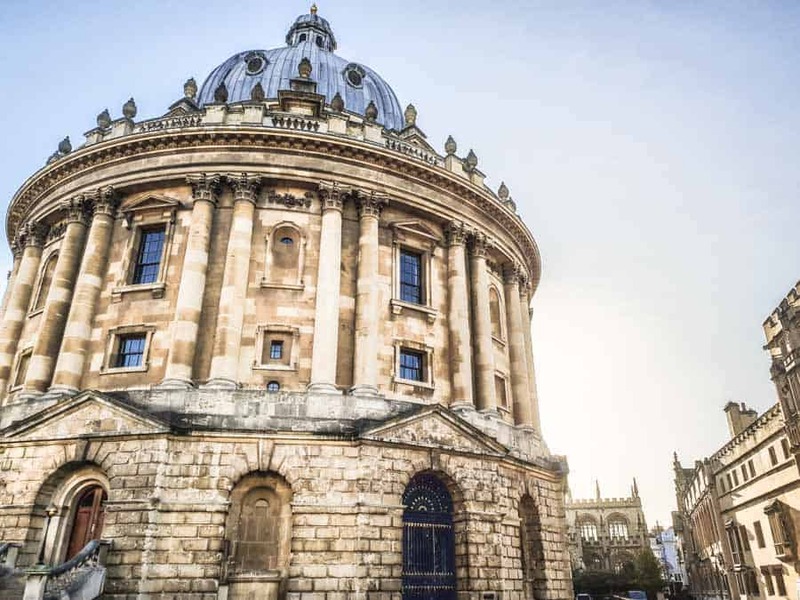 From the gorgeous domed Radcliffe Camera to the fortress-like Old Bodleian Library, the “Bod” boasts some of the most striking buildings in Oxford. If you only have time to visit two, make them the Radcliffe Camera and the Old Library. The Bod’s interiors are no less impressive – it’s a working library so large sections of the library is off-limits unless you book onto a tour, which I’d highly recommend. 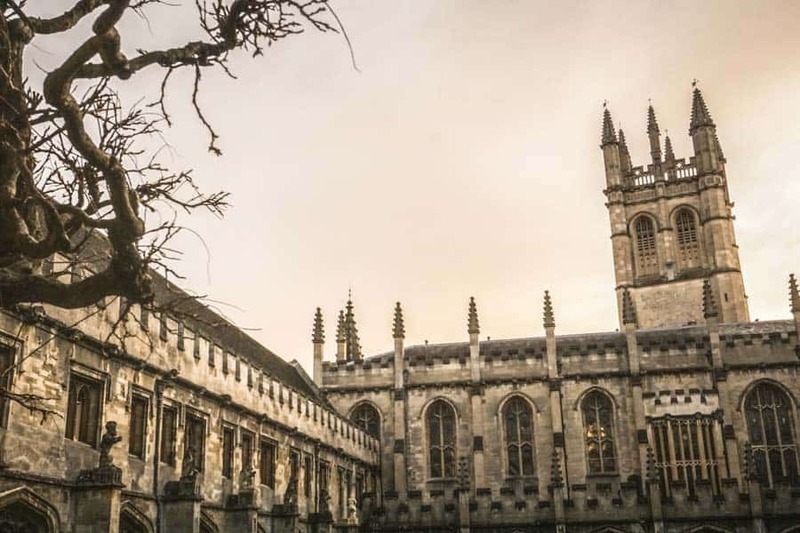 Even if you don’t – pay to enter The Divinity School – not only is it one of the Bodleian’s most ornately-decorated rooms, it also pops up in the Harry Potter films. The building that launched a million camera clicks. The Radcliffe Camera is an iconic piece of Oxford architecture and sits at the heart of the city of dreaming spires. Ask anyone what to do in Oxford and it will be there, right at the top of the list. I still remember the first time I saw The Radcliffe Camera, and even now I’ve seen it hundreds of times, it still makes me pause. The Rad Cam, as it’s fondly nicknamed, was built in the 18th century – so it’s actually pretty modern by Oxford standards. Today it functions as one of the main reading rooms of the Bodleian Library as well as the home of several of the library’s collections. As with other parts of the Bodleian, it’s a functional library and off-limits unless you book onto a tour. The Ashmolean is Oxford’s flagship museum and one of the top Oxford sights. Widely recognised as the first modern museum in the world, the Ashmolean has been the university’s historical and archaeological collections since 1683. 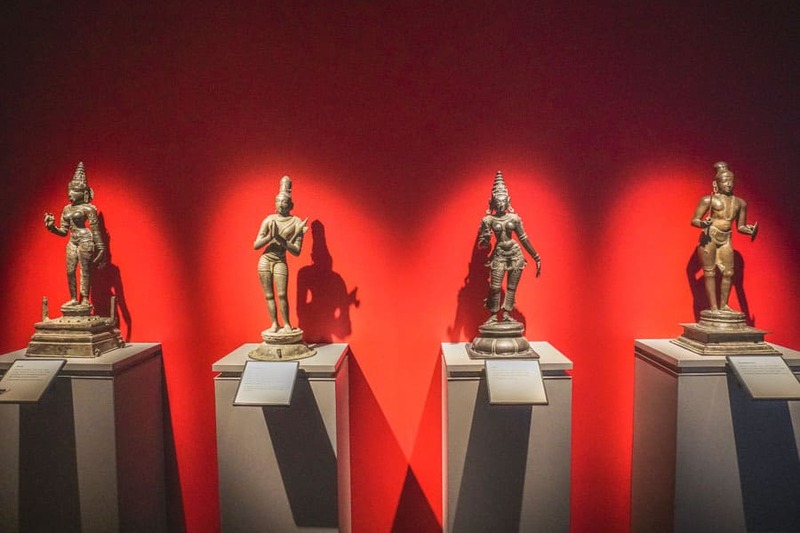 Though it’s no longer in its original building (it’s grown way too big for them), The Ashmolean remains a fascinating walk through the history of different cultures from around the world. The eclectic collection spans a broad range of artifacts and exhibits. Want to see larger-than-life casts of Greek and Roman sculptures? They’ve got you covered. How about ceramics and textiles from the Middle East – same. The Ashmolean underwent a huge renovation in 2009. The tart up did it a world of good – collections are thoughtfully and interestingly presented. Allot at least a few hours to explore. Plus, when you’re finished, spend some time in their rooftop cafe – one of the best cafes in Oxford. Going punting, with a picnic in tow and perhaps a cheeky concoction of Pimms and Lemonade, is one of the best things to do in Oxford (during the summer months). Two rivers run through Oxford – the Isis (Thames) and the Cherwell. You can go punting -that slightly weird form of boating where you propel the boat with a metal pole – on both. I’d recommend the Cherwell for several reasons. First of all, IMHO it’s way prettier than the Isis – and obviously that’s a very important thing. Secondly, if you punt away from the city centre, you slowly leave the crowds behind until it’s just you, your crew and the (sometimes scary) swans that will happily steal your lunch. Start at Magdalen Bridge, punt upriver to the Victoria Arms in Marston to disembark for a leisurely lunch before floating downstream to where you began. Perfection. The Pitt Rivers Museum is one of Oxford’s quirkier and most interesting museums. 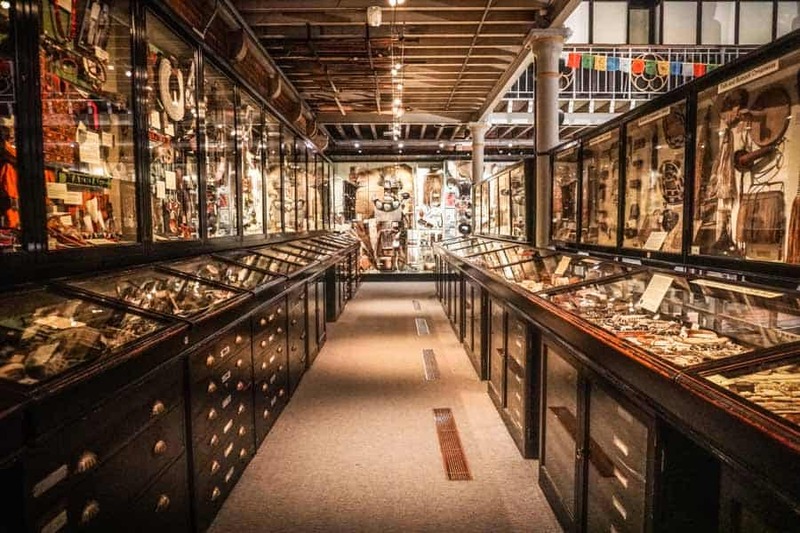 Centred around the collection of Augustus Henry Lane-Fox Pitt Rivers, the museum opened in 1887 to showcase its anthropological treasures from around the world. The Pitt Rivers features over half a million artifacts, which together tell the story of the history of man. I’m ashamed to admit that, despite living across the road for three years, I barely ever visited the Pitt Rivers while I lived in Oxford. Don’t make my mistake – this really is one of the top things to do in Oxford. Walking around the well-presented exhibits, which are ordered by type and by date, is a peek into faraway cultures. Admission is free but there is a suggested donation of £5. If you only have time to visit one of the University of Oxford’s 38 colleges while you are in town, make it Christ Church. It pains me to say it (I studied at Keble, we’ll get to it later) but Christ Church’s important history and beautiful architecture make a visit hands down one of the best places to visit in Oxford. The college was founded almost 500 years ago, by Cardinal Wolsey – until he fell from favour and the college was pinched by King Henry VIII (he of divorced, beheaded, died fame… ). 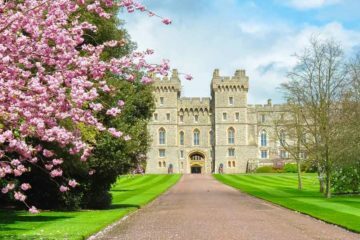 Over the years, this connection with the Royal family continued. Christ Church was even the seat of King Charles I’s royal parliament. during the brief four year period when Oxford was England’s capital during the Civil War. Fast forward to the present day and you’ll find one of Oxford’s most magnificent colleges and definitely the only one to have its own cathedral. Start with the vast Tom Quad, flanked by the Christopher Wren-designed Tom Tower then make your way to the dining room – one of Oxford’s unforgettable Harry Potter filming locations. There aren’t many Oxford colleges that can say they have their own deer park within their grounds… but then Magdalen isn’t like many other Oxford colleges. First up, Magdalen (pronounced maudlin) is one of the richest colleges within the university (perhaps that explains the deer park). Secondly, it’s just so very beautiful that you shouldn’t miss it on your list of places to visit in Oxford. 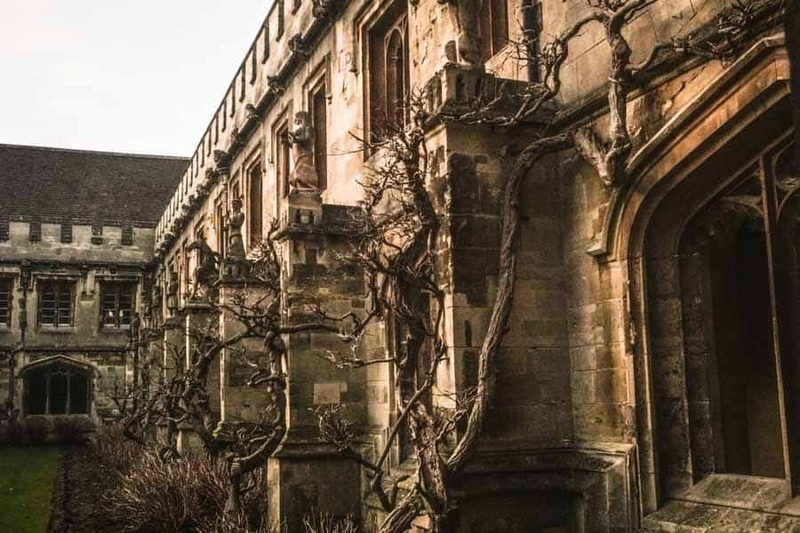 Like many Oxford colleges, you have to pay to enter – once you do, take a peek at the cloisters, chapel and hall and, of course, take a turn around the deer park. It would be rude not to. Find yourself getting a bit desensitised to all that handsome sandstone? It’s OK, we’ve all been there. Enter the Victorian Gothic masterpiece that is Keble College. I am flabbergasted that Keble doesn’t make it onto many lists of Oxford tourist attractions. Look, I may be biased because I studied at Keble but there are several reasons why you should add it to your Oxford sightseeing itinerary. 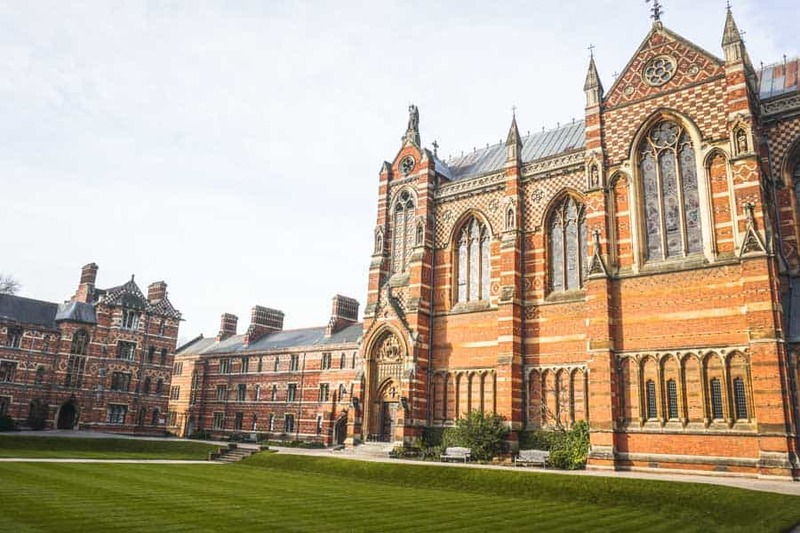 Keble’s crazy architecture – largely redbrick with contrasting white, black and golden patterns – was always meant to make a statement. Think it’s safe to say the architect William Butterfield definitely succeeded in that mission. What’s more, Keble has a chapel striking enough to stop you in your tracks. Once inside, don’t miss the world-famous Light of the World painting by Holman Hunt – it’s secreted in a small room to the side of the chapel. As if that’s not enough, the college’s hall is the longest in Oxford – not to mention its most impressive – it makes Christ Church’s look teeny by comparison. 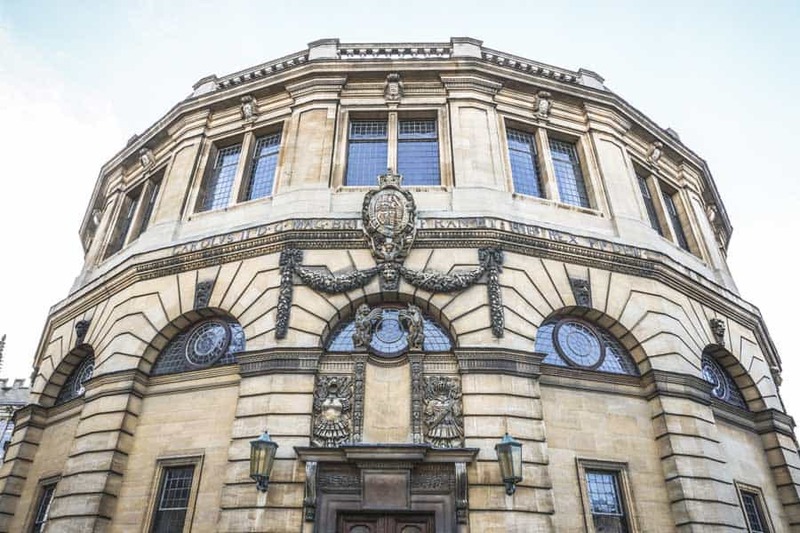 Situated next to the Old Bodleian Library, you’re bound to notice the Sheldonian Theatre – it’s the Neoclassical style D-shaped building that projects out onto Broad Street. Wondering what it is? The Sheldonian is the official ceremonial hall of Oxford University. As the place where you matriculate (are formally enrolled at the university) and graduate, it holds a special place in students’ hearts. The Sheldonian was the first significant architectural project of Christopher Wren (who then went on to design some of the most important landmarks in London after the Great Fire – including St Paul’s Cathedral). If you have time, book a Sheldonian tour, which explores the University’s history and gives you a chance to see the theatre’s interior – dominated by the ceiling fresco “Truth descending on the arts and sciences to expel ignorance from the university”. St Mary’s Church forms one side of Radcliffe Square – clustered by All Soul’s College, Brasenose College, the Old Bodleian and the Radcliffe Camera. 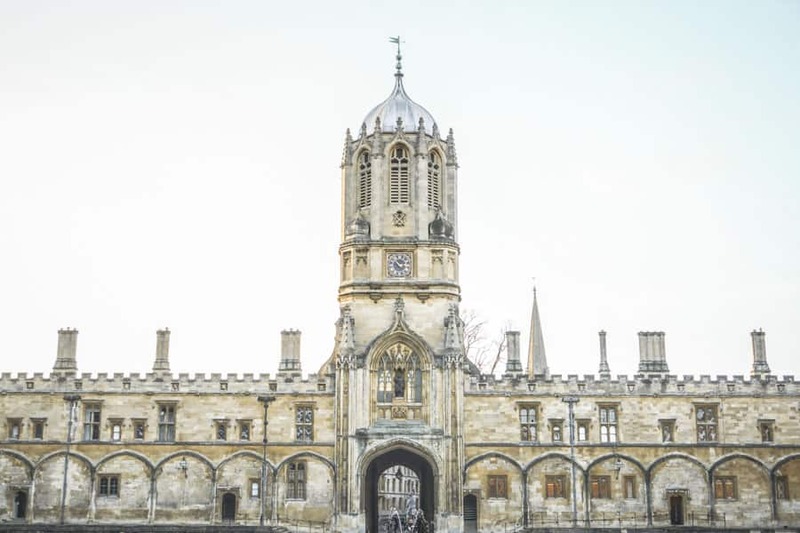 While the church itself is worth a visit, I’ll let you in on a little secret – the tower should be on your itinerary of things to see in Oxford. 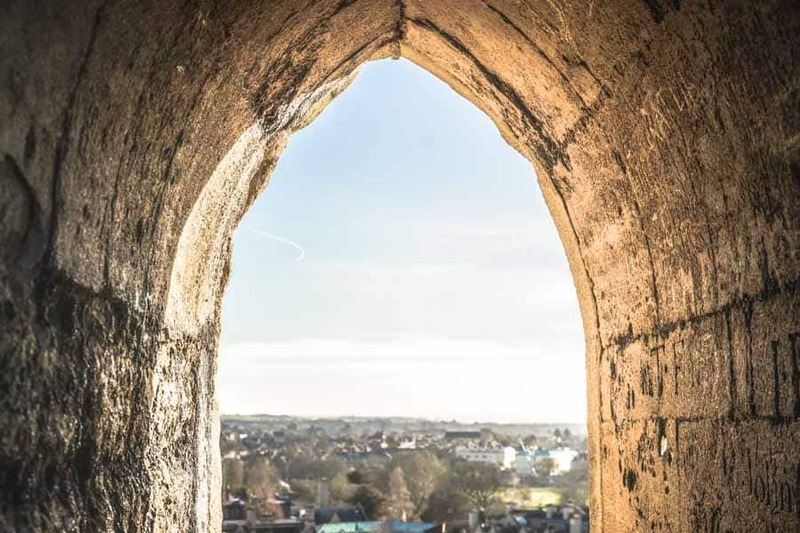 For a small fee, you can climb to the top of St Mary’s Tower for the best views of the city. Now, I’m not going to lie… climbing to the top of medieval churches is my least favourite thing to do and this one is no exception. The steep winding stairs that take you to the top of the tower are vaguely terrifying, particularly on the way down. That said, the views are absolutely spectacular – you can walk around all four sides for four completely different but equally mesmerising panoramas. Worth the terror and the sore legs? Totally. Another of Oxford’s sights, the Bridge of Sighs may look vaguely familiar. That’s because it supposedly looks a bit like on the famous bridge of the same name in Venice. 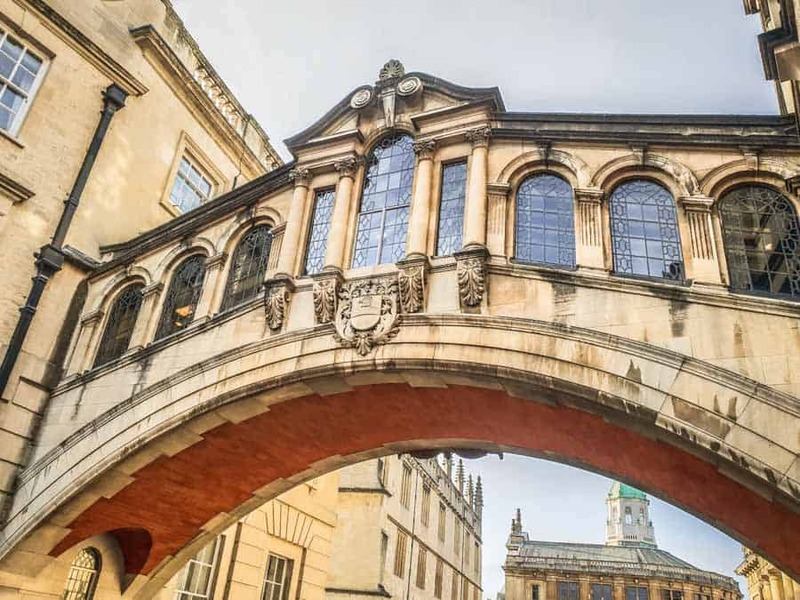 The bridge connects two parts of Hertford College – but really much of its appeal is its quirky appearance. PS, the entrance to the Turf Tavern – one of Oxford’s oldest and prettiest pubs – is tucked down the alley to the left of the bridge if you’re walking away from the Bodleian Library. Had enough of historical sites yet? Tough luck if the answer’s yes. The Oxford Castle & Prison is a medieval Norman castle that’s been transformed into a historical site, hotel and entertainment complex in one. It’s not as bizarre as it sounds – the hotel (Malmaison) has pimped up the former cells into comfortable rooms, while the bars and eateries are worth a pit stop. More interested in the actual castle than its contemporary fripperies? You can take a guided tour to learn about the history of the building – which includes a 900-year old crypt. Ignoring the fact that the tours are led by costumed characters (shudder) and it’s actually an interesting way to learn about a side of Oxford that has nothing to do with the university. 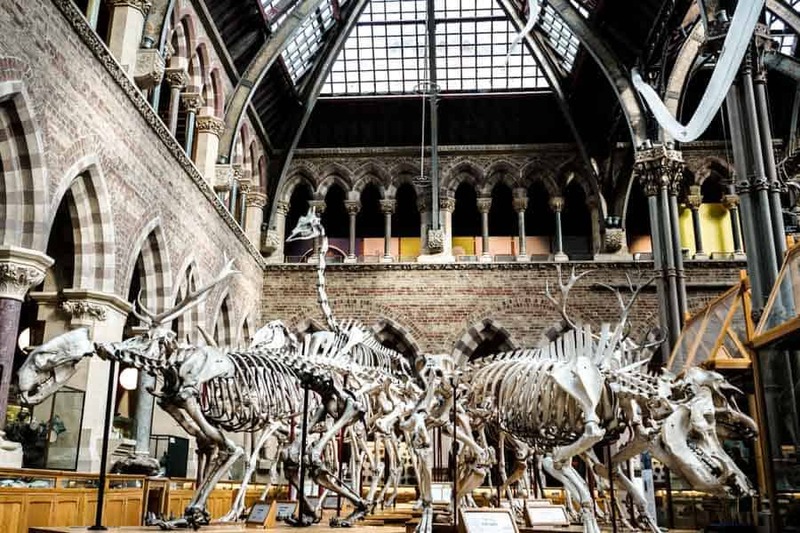 Housed in the same building as the Pitt Rivers Museum, the Oxford Museum of Natural History is one of the more surprising things to do in Oxford. The building is impressive enough – its light-filled interior is one of my favourites. Add to that a large collection of zoological and geological specimens and you’ve got an Oxford sightseeing must. You can’t help but notice the huge dinosaur skeletons that dominate the museum’s collection. Fossils and replicas give you an up-close-and-personal look at the different species on display. Other highlights include the Oxford Dodo – one of the few of its kind in the world and said to be the inspiration for Lewis Carroll’s character in Alice in Wonderland. I’ll level with you – I personally think the exhibitions in Modern Art Oxford can be a bit hit and miss. But that’s standard for small galleries who show innovate exhibitions. Don’t let it put you off. This small gallery is one of the more unusual things to do in Oxford but is well worth a visit. Where else can you see exhibitions that aren’t afraid to challenge you or question the status quo – and for free too? When it’s good, it’s really good. OK. I’m going to reveal the full level of my geeky adoration for Harry Potter here and admit that I watch the films with my partner every single year at Christmas. Every. Single. Year. So you can imagine my absolute glee at tasking myself with discovering the Harry Potter filming locations in Oxford. Even if you’re a little more lukewarm about Harry Potter (I don’t know – can we even be friends? ), visiting the filming locations is still an interesting way of seeing different parts of Oxford you might have found otherwise. 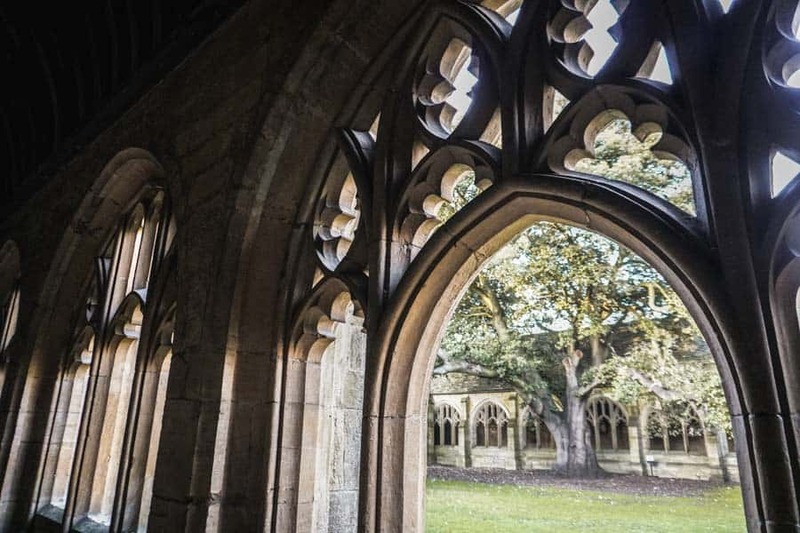 The atmospheric New College Cloisters are the perfect example – most people have no reason to hunt them out. However, when I did (they double up as the spot where Mad Eye Moody turns Draco into a ferret), I found one of Oxford’s hidden treasures and a new favourite spot. Given its strong literary heritage, it’s perhaps no surprise that Oxford has more than its fair share of literary spots. Book-lovers can lose themselves in a world of finding the real life inspirations and locations from their favourite books. Take Alice in Wonderland for example – Lewis Carroll (real name Charles Dodgson) was a scholar at Christ Church. Influences as diverse as the Dodo in the Oxford Museum of Natural History and the door into Christ Church’s cathedral garden find their way into the famous books. Not forgetting the fantastical Narnia series, written by the well-known Fellow of Magdalen College, C.S Lewis. Although there are traces of Narnia throughout Oxford, the best-known is the wooden door in the alley that runs down the side of St Mary’s Church. Afternoon tea is a quintessentially British pastime – one that Oxford happens to do very well. The Grand Cafe is the place for afternoon tea in Oxford. It stands site of England’s oldest coffee house – times and tastes may have changed but The Grand will always dish up fluffy, hot scones, huge slabs of cake and the requisite teas and coffees. A cream tea, with two (very large) scones, accompanied by lashings of jam and clotted cream (which should be applied to the scone in that order) and a hot beverage of your choice is £10.95. An afternoon tea, which features the above, with an additional selection of finger sandwiches and petit fours is just under £20. Go hungry. I’ll freely admit that were it not for Oxford’s brilliant cocktail bars, I probably would have come out of university a great deal richer than I did. No stress – I’m finally putting my extensive knowledge to good use. Jericho, in the north of the city is a good place to find a cocktail bar or two. Raoul’s has a reputation for serving up the best. Nearby, The Duke of Cambridge is a brilliant choice (they also just so happen to have a brilliant happy hour). Freud’s boasts the most impressive setting – it’s located in an old Neoclassical-style church, but cocktails are a bit lacklustre compared to its nearby competitors. 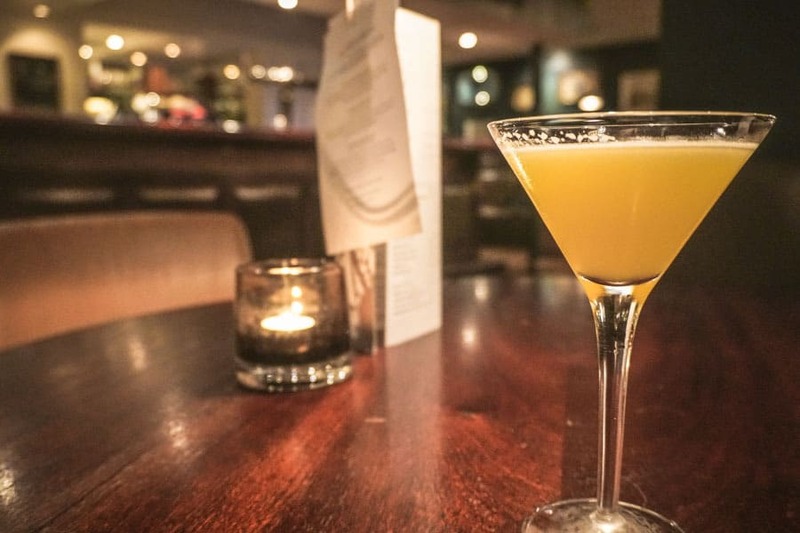 When it comes to cocktails with a view, it should come as no surprise that Oxford has a few contenders – The Varsity Club looks straight out over central Oxford, while The Alchemist offers a different view from atop the Westgate Centre. Still not enough? Strike out along the Cowley Road for more options. Any Tolkien or C.S Lewis fans in the house? 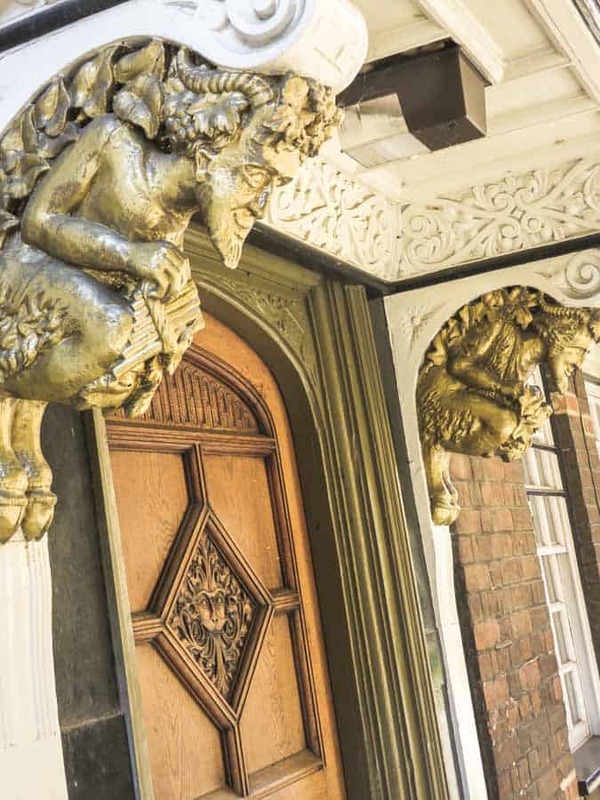 You’ll want to add the The Eagle & Child to your things to see and do in Oxford itinerary. What may look like a relatively standard pub at first glance has an intriguing history. It’s best-known as the former meeting place of “The Inklings”, a group of writers that included – you guessed it – Tolkien and Lewis. Whether tucked away on hidden alleys or sat in plain view – Oxford has more than its fair share of historic pubs. I’m yet to find another British city with so many gorgeous old boozers and a mini pub crawl between them is a fun thing to do in Oxford (for adults). 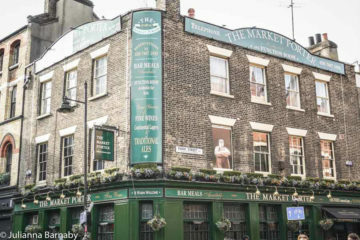 Start with one of the oldest – The Bear Inn. 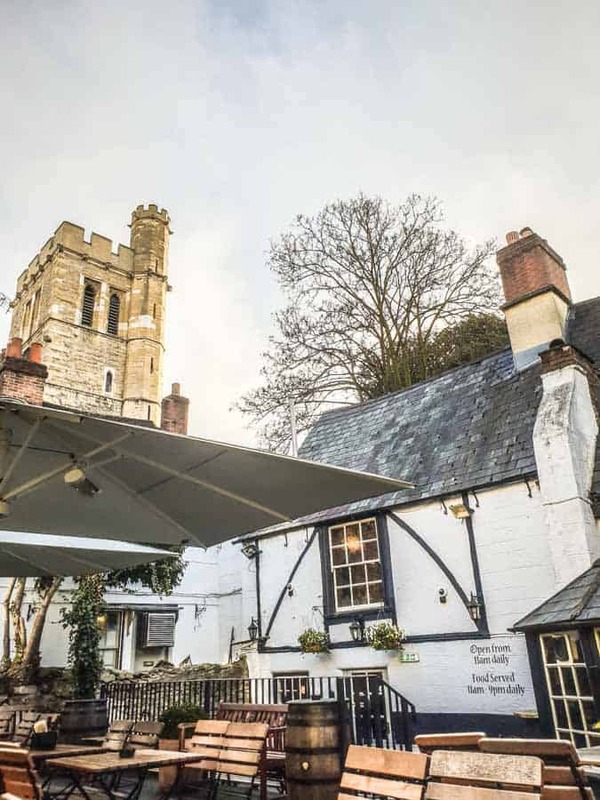 Hidden in the maze of streets between Christchurch and the High Street, there’s been a pub in this spot since 1242 – though its current incarnation dates from the 17th century. Move on to my favourite, The Turf Tavern, thought to have opened in the 15th century. 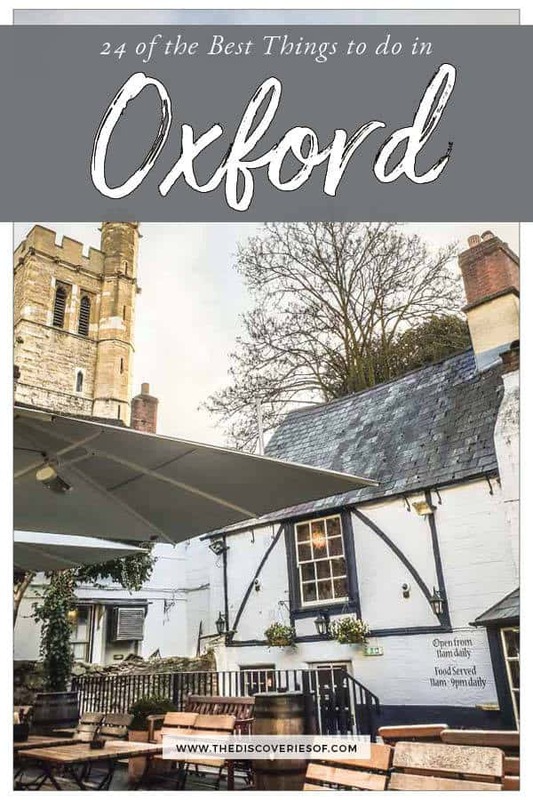 It’s a bit hard to find, but when you do, you will find a quaint old building that’s straight out of the history books and some of Oxford’s best pints. From there, it’s a short hop to The Lamb & Flag. Perched across the road from The Eagle & Child, the Inklings also used The Lamb & Flag as one of their meeting spots. It’s also rumoured that Thomas Hardy wrote much of Jude the Obscure sitting in the pub. Cheers to that. 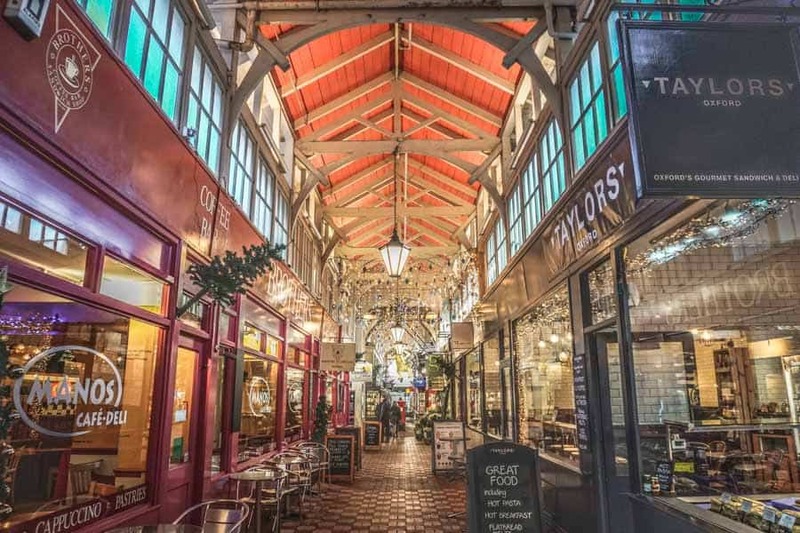 The 18th-century Covered Market sits in the heart of Oxford. 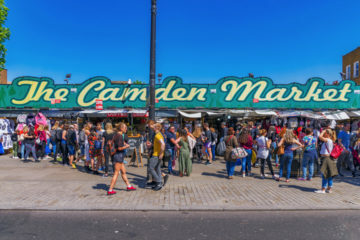 Over 40 traders have stalls and shops within the market – pop in for a browse and you’re never sure what you’re going to come out with. The best way to explore is to just have a wander round, but there are a couple of places you shouldn’t miss while you’re there. Coffee lovers should make a beeline for Colombia Coffee Roasters, an independent coffee shop who source their beans from their own family farm in Colombia. 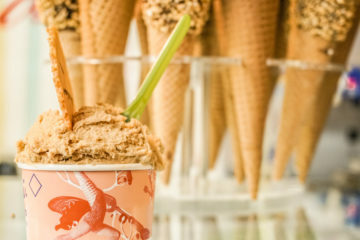 Hop into Ben’s Cookies next door for one (or three) of their indulgently gooey and delicious cookies or iScream for a tasty gelato. 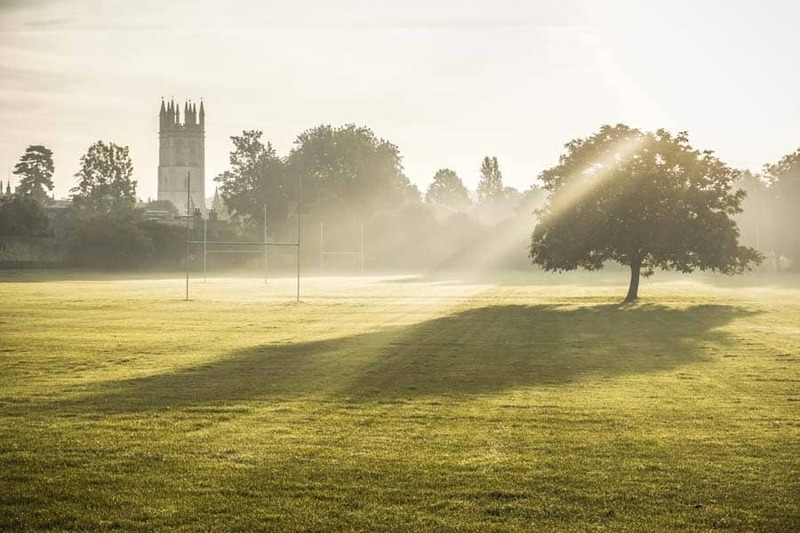 Oxford has a surprising number of green spaces – including Christ Church Meadow. Sandwiched between the River Isis (the stretch of the river Thames that runs through Oxford), the river Cherwell and Christ Church College, the Meadow is one of the best places to visit in Oxford on a warm summer’s day. Rowers heave boats onto the river from the boat houses that line the Isis – plump yourself down on the grass and watch as they skull their way along the river, or have a picnic under the shade of a tree – just watch out for the cows. 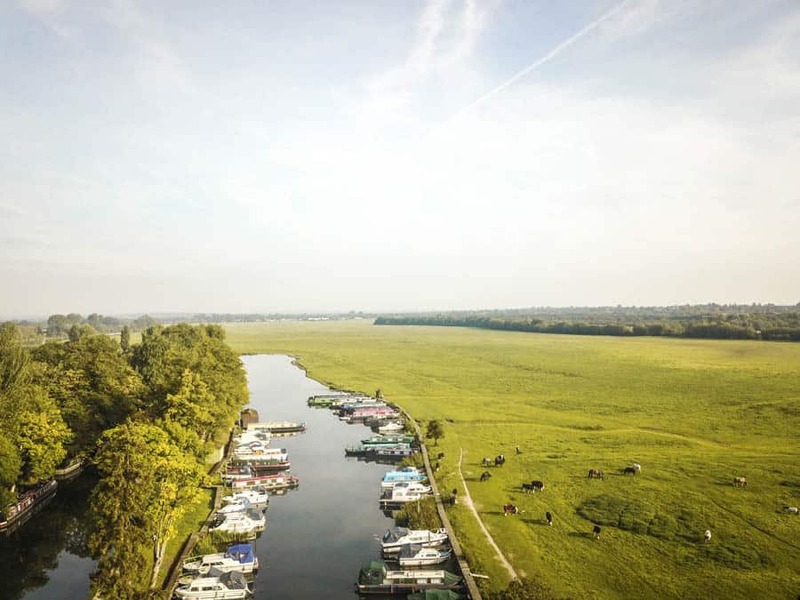 Much beloved by locals but largely overlooked by tourists, Port Meadow is an extensive meadow in the north of Oxford, above the Jericho area of town. The meadow is part of an ancient patch of grazing land that dates back over 4,000 years. You’ll still find cows and horses roaming free on the meadow today. While it’s nice enough for a stroll or a picnic on the banks of the Thames, it doesn’t hurt that the meadow leads to two of Oxford’s prettiest pubs – The Perch and The Trout. The Perch – a 17th century country inn – is closer and a lovely spot for a quiet drink or two. It’s a bit of a walk to The Trout but the walk takes you through bucolic scenes that have remained largely unchanged for millennia. What’s more, the pub serves great food AND has peacocks roaming freely in its gardens. 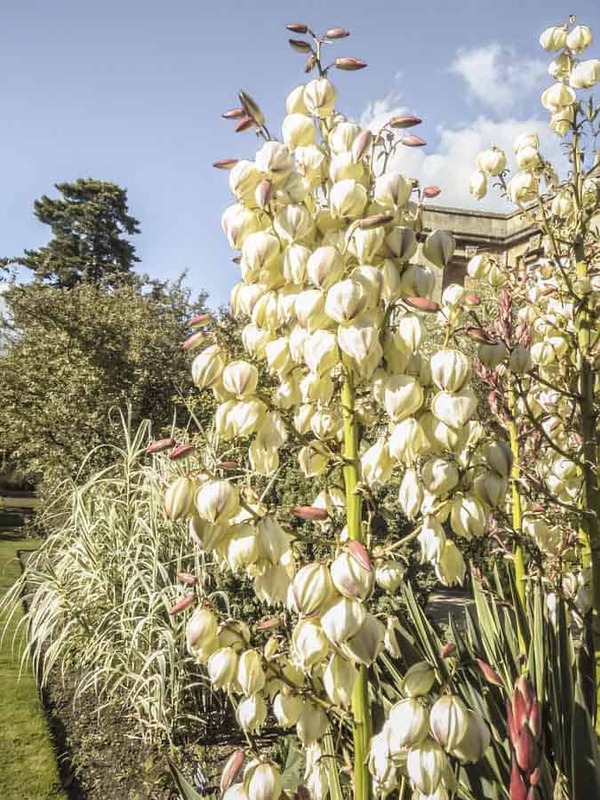 Oxford’s Botanic Gardens is the oldest botanic garden in the UK and one of the oldest in the world. They’re the peaceful escape in the heart of the city – bursting with over 6,000 plant species that are organised into a series of collections. It’s educational, but the real joy is simply appreciating the dramatic plantings, which somehow look good at any time of the year. The glasshouses are my personal favourite part of the garden – a stroll through them transports you to different parts of the world, where tropical palms grow taller than houses, or where desert cacti burst into rare blooms. Any fans of Philip Pullman’s His Dark Materials trilogy should also keep an eye out for a bench overlooking the Isis, which is said to be the place where the main characters Lyra and Will return year after year in their respective worlds. Fans have etched tribute messages into the bench – you will know it when you see it. There we are – the top things to do in Oxford. Are you ready to explore? Oxford makes the perfect day trip from London – but I always advise to spend more time there if you can. I’d suggest three days to explore the city at a leisurely pace. Don’t bother with the hop-on-hop-off sightseeing bus – the city centre is surprisingly small and very walkable. So many of the best things to do in Oxford are clustered in a small area that taking the bus just isn’t worth it. There are millions of tours of Oxford and not all of them are created equal. I’ve used GetYourGuide for tours in the past as they are generally reliable. The tours offered by the Bodleian Library, the Sheldonian and The Ashmolean are all very interesting. Wear comfortable walking shoes. I mean it. Those cobbles are going to destroy your feet if you venture out in heels. I’ve only covered central Oxford as this is what most visitors focus on – but there’s a lot more to discover down the Cowley and Iffley Roads if you have a little more time. Click here for a Google Map a map of the attractions mentioned in this article. Looking for more travel inspiration? Check these out.